There is not a better form of escape that comes to mind than other getting in the car with a friend,food, music, and having no one expect you at a certain place and a particular time.If an old water tower signals the location of a forgotten town, you are free to explore. If peeling paint and falling trim catch your eye, you investigate. Driving as far as you want and stopping for no real reason is expected. Curiosity reigns and the mantra is “No Maps, Just Drive”.The long, crazy school year vanishes after the first mile markers. I actually cleaned out my CRV, got new tires and am ready to put on miles! Tomorrow we are heading across Tennessee out towards Asheville, North Carolina, and excited about the opportunities to make discoveries. Hopefully, I’ll be able to share some new adventure in a week or so. This entry was posted on Friday, May 24th, 2013 at 8:51 pm	and tagged with Asheville, Asheville North Carolina, digital photo collage, escape, exploration, North Carolina, photographs, photography, photos, road trip, Tennessee, therapy and posted in Photographs, Road Trips. You can follow any responses to this entry through the RSS 2.0 feed. 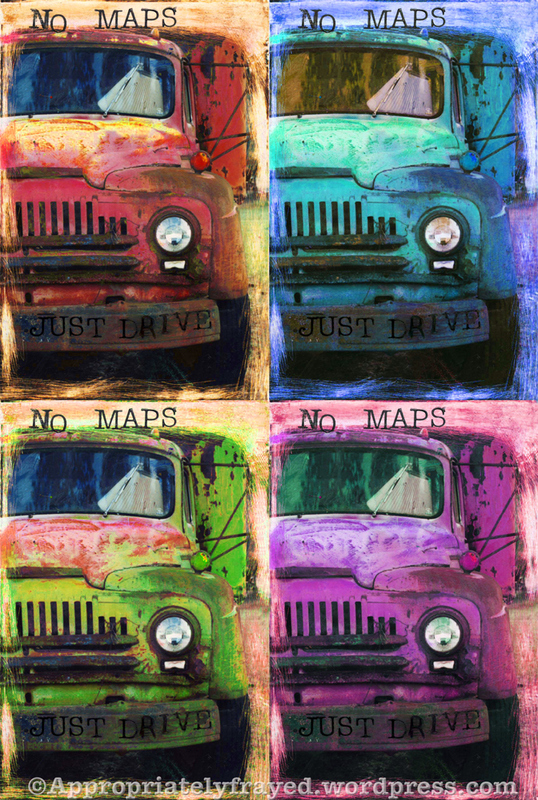 That sounds fantastic, the freedom of the open road with no place to be and no time pressures….very liberating! Hope you have a great time and I look forward to the photos on your return. I am envious! There really is nothing quite like that feeling of adventure when first setting off on a new, unplanned journey!